Embracing our mystical inner being through art. 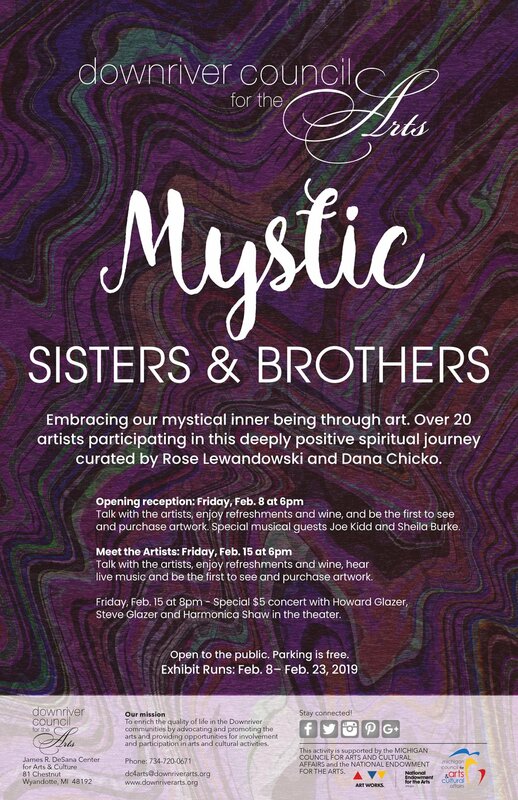 Over 20 artists participating in this deeply positive spiritual journey curated by Rose Lewandowski and Dana Chicko. Opening reception: Friday, Feb. 8 at 6pm: Talk with the artists, enjoy refreshments and wine, and be the first to see and purchase artwork. Special musical guests Joe Kidd and Sheila Burke. Meet the Artists: Friday, Feb. 15 at 6pm: Talk with the artists, enjoy refreshments and wine, hear live music and be the first to see and purchase artwork. Steve Glazer and Harmonica Shaw in the theater.